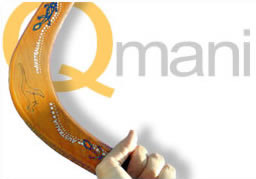 Qmani is committed to providing our customers with the best products and service. As part of this commitment, first-time customers will, upon request, be refunded the un-utilised portion of the message credits related to Qmani products. A credit or credit card refund will be issued for the related message credits. Your message credits will expire if not utlised within 180 days of purchase. Qmani will, at its discretion, extend the expiry date of the message credits if a written request is made by the customer and received no later than 30 days from the date of expiry. To request a return or refund, you will need to send us an email to: support@qmani.com requesting a return or refund.